An analysis published online Sept. 17, 2015, by the British Journal of Sports Medicine suggests that doing tai chi enhances the quality of life for people with common chronic conditions. Researchers analyzed data from 33 studies involving nearly 1,600 adults. Most were in their 60s or 70s, and all had one or more chronic conditions: osteoarthritis, breast cancer, heart failure, or chronic obstructive pulmonary disease (COPD). All 290 participants in the breast cancer studies were women. There were 452 women (85% of participants) in the arthritis studies, 76 (16%) in the heart failure studies, and 92 (19%) in the COPD studies. All the studies were randomized and controlled: they compared people who did tai chi with those who either did another type of exercise or were waiting to join a tai chi class. Over all, people who did tai chi showed greater improvements in walking, muscle strength, and quality of life. 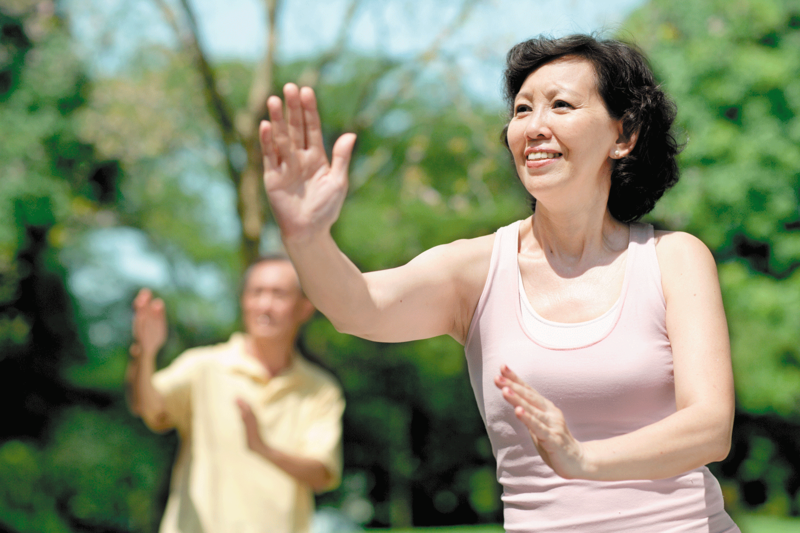 Tai chi is growing in popularity, and this report adds another reason to give it a try. Check your local "Y" or gym to see if it offers classes.